You probably have a lot of cherished video clips about family events, social gatherings or wedding parties stored on your Nikon cameras. Want to transfer them to computer for further editing or use them to make your own creation? Here, a powerful yet easy-to-use Nikon video editor- Wondershare Filmora9 is introduced. With it, you can not only finish basic video editing like trimming, cutting, splitting in a few clicks, but also add creative flourishes like titles, intro/credits, clip arts, and fair-sounding soundtracks. What's more, after editing, you can share your masterpiece directly on YouTube, burn it to DVD, or save to any formats on your computer. Now download this program and try it out. First, transfer the Nikon video files to your computer. Then drag and drop them to the primary window after launching this program. All the imported files will appear as thumbnails in the left pane. You can double click a clip to preview it in the right previewing window. When everything is ready, drag and drop the videos to the Timeline to polish them as you like. 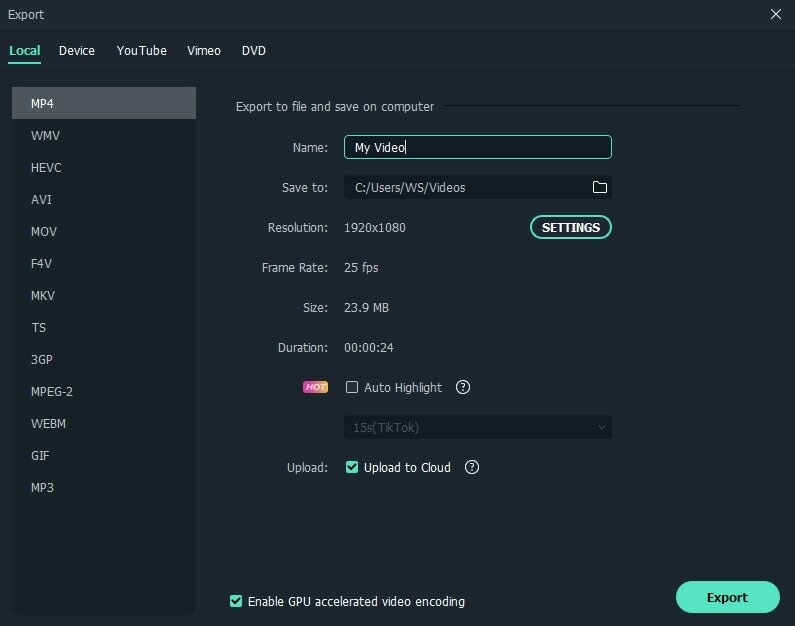 The latest version 9 of Filmora Video Editor also allows you to import video footage from your Nikon camera directly. You can click the Import menu first and then select Import from a Camera or Phone option which will enter the Import from Device window. 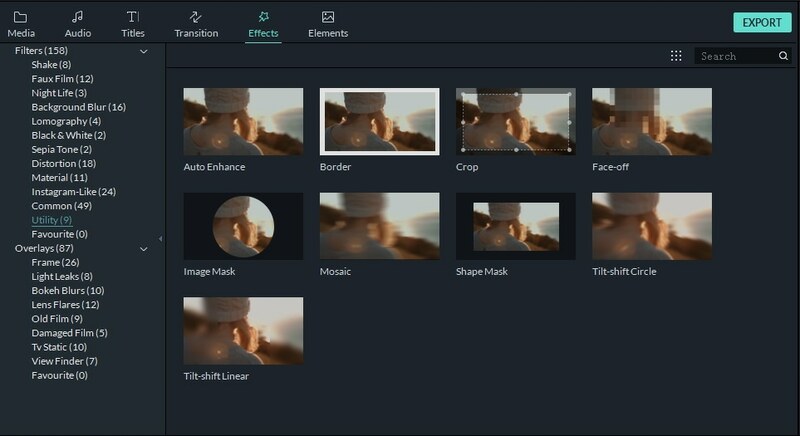 You can import only videos or only images or all media files to Filmora9. All the imported media will be saved under C:\Users\admin\Documents\Wondershare Filmora 9\User Media\Device Import by default. But you can always change the default path. This Nikon video editing software turns rather complicated video editing into a pretty easy and efficient job. 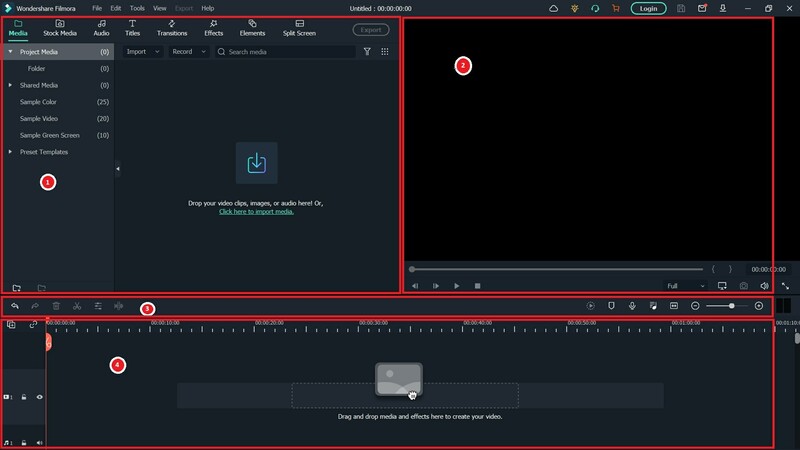 Since it features Timeline based editing, you can just move the slide bar or the duration adjustment bar to the right location you want, and then do video trimming, cutting, splitting with ease. To edit video/audio, just double click the target file and adjust the playing speed, brightness, contrast, pitch, voice, etc. according to your needs. If the video shot by the Nikon camera has some noisy background wind sound, you can remove the noise with Filmora9 with ease. You can even separate audio from the video for more creative use by right clicking the video and choose "Audio Detach". Besides the basic video editing function, this Nikon video editing software also offers 300+ transitions, titles and effects that make your videos even more polished and artful. It's easy to add them on the timeline. All you have to do is drag and drop them from the "Effect", "Titles", "Transitions" and "Elements" tab. To help make your video more professional-looking, this Nikon video editor even includes some Power Tools for you to build a small miniature (tilt-shift), replace face in your video (face-off), blur part of a picture (Mosaic), and more. You can find all these features and more by switching to Effects tab and go to Utility option under Filters menu. 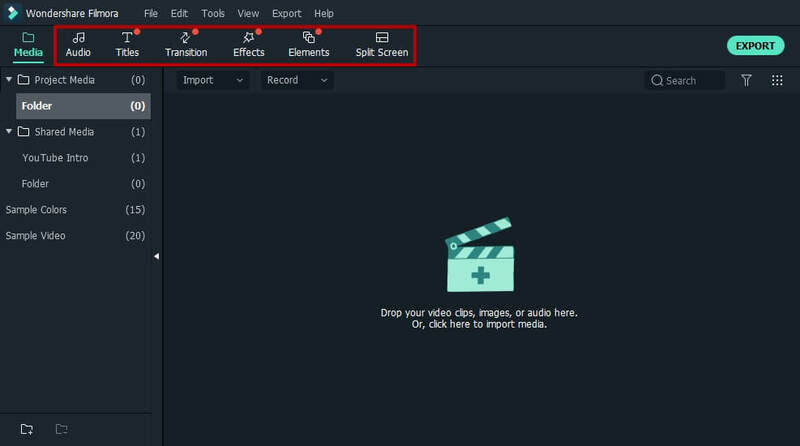 When you finish editing, hit the "Export" button to save your creation to computer or upload it to YouTube, or Vimeo for online sharing. It's also easy to burn your finished video to DC for playing on home player. You can also save the video with specially designed settings for devices for watching offline on iPhone, iPad, Apple TV etc. Editing videos shot with Nikon camera in Filmora9 is easy since it supports a large wide range of video formats, easy-to-use both basic and advanced video editing tools, and plenty of video effects and more. Download Filmora9 today and edit the video footage on Windows or Mac computer.